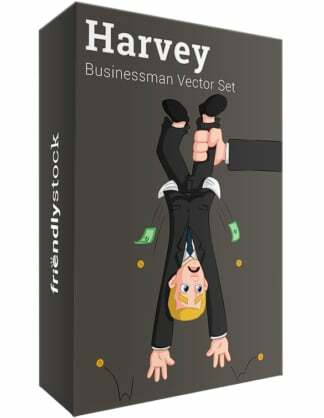 Royalty-free vector illustration of a running businessman with a briefcase posed like a clockwork toy, wearing a winder on his back. Wind him up and automate! 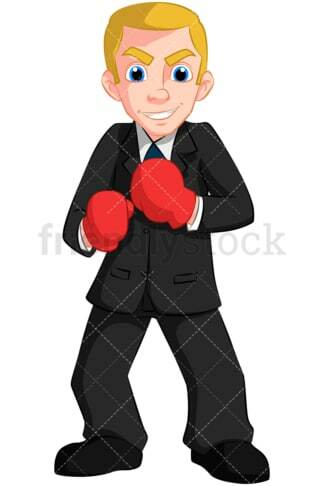 Royalty-free vector illustration of a businessman wearing boxing gloves. He’s got his hands up as if ready to spar and his look says he’s determined to win! 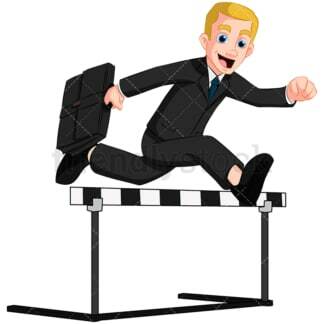 Royalty-free vector illustration of a businessman with a briefcase jumping over a hurdle with ease. He’s smiling as if this is way too easy! Royalty-free vector illustration of a businessman surfing on a cash bill with his arms extended out, wearing a big smile. He’s riding the wave of success! Royalty-free vector illustration of a businessman trying to carry a very heavy stone on his back. There’s sweat pouring from his face and his expression says he’s about to drop. What a heavy load! 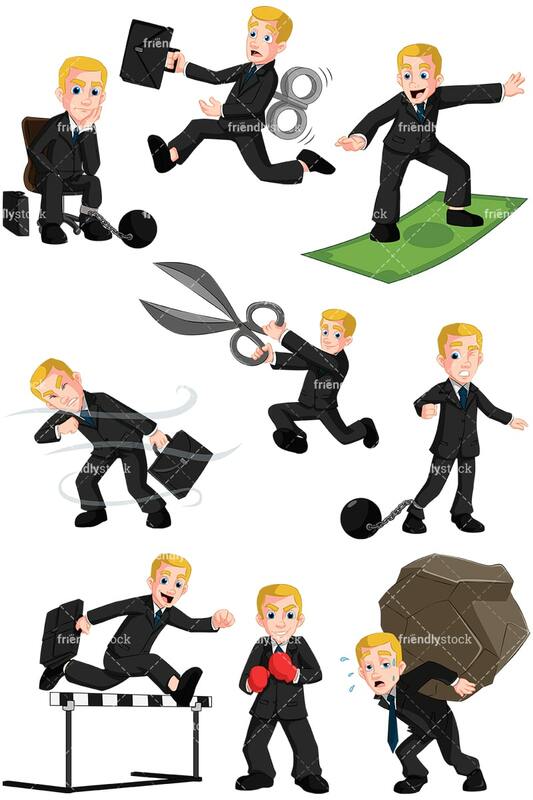 Royalty-free vector illustration of a businessman running with a large pair of scissors. He’s flauntingly breaking the rules! 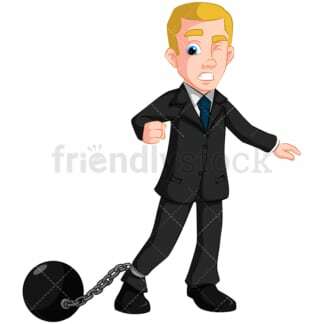 Royalty-free vector illustration of a frustrated businessman wearing a ball and chain while failing to break free. He’s not happy at all! 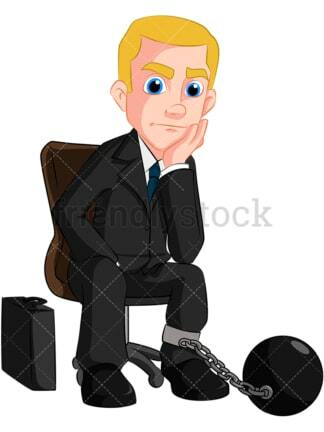 Royalty-free vector illustration of a businessman sitting in his office chair while stuck to a ball and chain. He’s leaning on one elbow and his briefcase sites nearby. Looks like somebody got a time-out! Royalty-free vector illustration of a businessman walking with his briefcase in hand and trying to fight his way through a windstorm.